Boston-based marketing services and consulting company Sapient reported a nearly 12% revenue gain in the fourth quarter of 2012 to $293.2 million. Net income was down 28% to $19.5 million. The company said its digital agency SapientNitro accounted for just over $200 million of fourth-quarter revenue, an increase of 9% over the same prior-year period. The agency’s profit in the quarter was $65.6, roughly flat with Q4 2011. For full-year 2012, company revenues totaled $1.12 billion -- up almost 10% -- while agency revenues totaled $772 million, up 13% and nearly 70% of the company’s total revenues. On a conference call with analysts and investors, Sapient CEO Alan Herrick indicated that while the business environment remains “challenging overall,” he expects the company to generate revenue growth “even or better” than 2012, meaning 10% or higher. First-quarter 2013 revenue is expected to be in the range of $295 million to $300 million, or at least 13% higher than the same period a year ago. Last month, SapientNitro acquired two firms that will bolster the agency’s offering including (M)Phasize, a cross-channel analytics shop that counts Johnson & Johnson and Avon among its clients. It also acquired a majority stake in Brazilian digital agency iThink, giving SapientNitro a presence in all of the BRIC countries. In addition to Brazil, those countries are Russia, India and China. 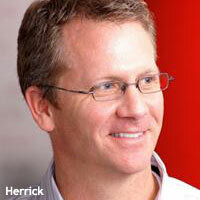 Clients of iThink include J&J and Kraft, Herrick said. The Brazilian presence will enable the agency to take better advantage of marketing opportunities for clients during the upcoming World Cup in 2014, he added.